The following information was provided by the Cherry Hill Police Department. On Sept. 15, Cherry Hill Police responded to the 100 Block of Wisteria Avenue for report of a burglary. Unknown actors entered a vacant residence through a broken window and proceeds were copper piping. Incident occurred between Sept. 9 and Sept. 15. On Monday, Sept. 15, Cherry Hill Police responded to Murray Avenue and Severn Avenue for a report of a suspicious male distributing circulars in the area. Through investigation by police, a man from Lindenwold was arrested and charged with possession of heroin and other related drug charges. On Monday, Sept. 15, Cherry Hill Police conducted a motor vehicle stop at Route 38 and Cuthbert Boulevard for a traffic violation. A man from Camden was arrested and charged with possession of a narcotic without a prescription and other charges. On Tuesday, Sept. 16, Cherry Hill Police responded to a report of a theft from vehicle that had just occurred at the Schetter Funeral Home located at 304 Route 70 West. Witnesses reported that a male was observed inside a vehicle and when approached, the male left in a vehicle onto Route 70. The suspect vehicle was located by police and the actor, a man from Cherry Hill, was placed under arrest for other charges. After he was transported to police headquarters, he was also charged with burglary to motor vehicle. On Tuesday, Sept. 16, Cherry Hill Police conducted a motor vehicle stop at Olive Street and Beechwood Avenue for a traffic violation. Through investigation by police, a woman from Cherry Hill was arrested and charged with possession of a narcotic without a prescription. On Wednesday, Sept. 17, two women from Philadelphia were arrested and charged with shoplifting and receiving stolen property after leaving the Macy’s Department Store without paying for concealed merchandise valued at $518.50. 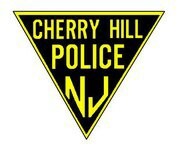 On Wednesday, Sept. 17, Cherry Hill Police responded to the unit block of Coolidge Road for report of a burglary. Unknown actors forced entry into the residence through a rear door. Proceeds were video game accessories, flash drives and keys. Incident occurred on this date between 7:30 a.m. and 3:20 p.m.
On Tuesday, Sept. 16, Cherry Hill Police responded to a report of a theft from vehicle that had just occurred at Avista Healthcare located at 3025 Chapel Avenue West. Witnesses reported that a male was observed inside a vehicle and when approached, the male remained on location waiting for police to arrive. Through investigation by police, a man from Willingboro was placed under arrest. After he was transported to police headquarters, he confessed to entering two vehicles. He was charged with two counts of burglary to auto and other related charges.